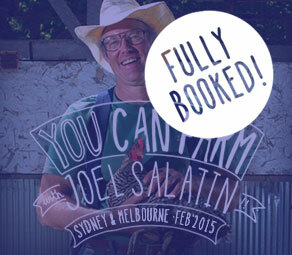 Join Joel Salatin for a one-day jam packed masterclass exploring the secrets of Polyface Farm systems, and how to create a vibrant, diverse, profitable and successful farming enterprise. This day will be chocker block with practical information and the nuts and bolts of how to get started and establish on-farm enterprises that are both regenerative and profitable. Internationally respected for his farm’s innovative and integrated diverse animal systems Joel comes ready to present and explain in detail how to replicate Polyface Farm’s most successful livestock systems and answer your questions in Q & A style. * Northern folks! RegenAG are hosting Joel in QLD and northern rivers on this same tour, so if you’re up that way, go check out their events. 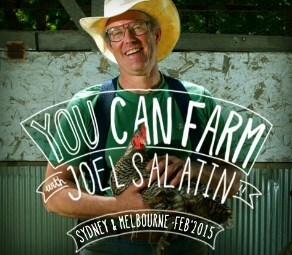 Join Joel Salatin of Polyface Farms for this series of live, in-depth, 90 minute sessions that explain all the details you’ve been wanting to know about these specific topics. Includes live Q&A and a copy of your webinar to keep and re-watch whenever you like. All from the convenience of your own computer, because we know how hard working and spread out across the globe our communities’ future farmers are!